Many small to medium sized business are just not equipped to make decisions or objectively weigh up their options when considering a Cloud Migration Solution. That’s where the experts at ERS IT Solutions come in! Cloud services: What’s involved in migration? Cloud technology has advanced rapidly in recent years, providing businesses with more and more options around the approach that can be taken when migrating their IT infrastructure to the Cloud. Like many other decisions business owners face, choosing the correct cloud strategy can be a difficult and confusing arena to navigate. Many small to medium sized businesses don’t have the expertise to make these decisions or to objectively weigh up the pros (flexibility, scalability and cost savings) against the cons (security risks and management challenges). They can even struggle with more basic questions such us what cloud tools are available, What obstacles might be encountered and where to even start. 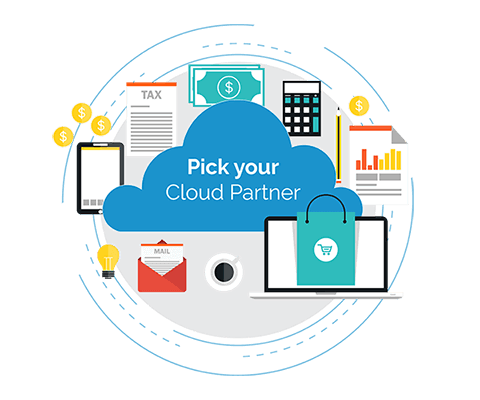 The first step in cloud migration is to choose a cloud IT partner with the required expertise and credentials to help you navigate the various cloud offerings and assist in making the right choices for your business needs. 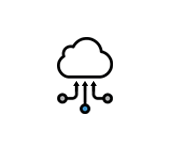 At ERS, our team of cloud migration specialists have assisted hundreds of businesses through the entire process of migrating their infrastructure to the cloud, from the initial phases of the cloud migration plan through to the monitoring and management of a fully transitioned cloud environment. We start by working closely with the business owners to review their existing investments in infrastructure, from hardware to application portfolios to network architecture and beyond to determine if a move to the cloud would be beneficial. 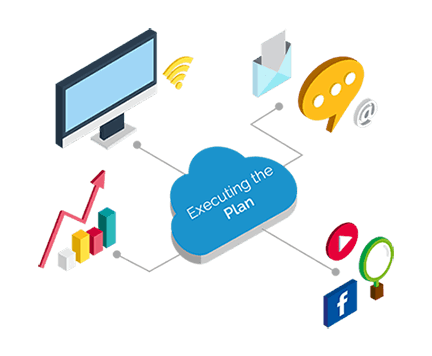 The result is a comprehensive analysis plan that provides the business owner with the answers required for making an informed decision. 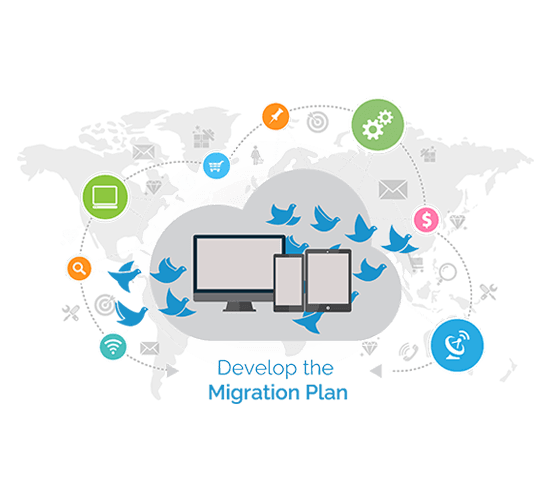 Some of the migration questions are technical, such as whether a given application can perform adequately in the cloud. Some questions will involve non-technical, budgetary issues, such as whether a cloud migration is cost effective given current investments in infrastructure. 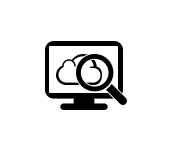 As part of the analysis, we review all current business applications to assess their suitability for cloud migration. Compatibility usually isn’t a big problem for newer applications that run on top of modern operating systems but close attention is required to the client’s entire IT environment is a must – even though you can provision a cloud server to host business applications with nearly unlimited compute power and memory resources, issues may exist with the company’s Internet bandwidth and if this is insufficiently resilient it may impede or impact application performance. Once the review has been completed, the actual migration plan is drawn up and shared with management. Moving enterprise data and applications outside the firewall and into the cloud is no small feat and the business needs to ensure that everyone within an organisation is on the same page. Governance will also form part of the migration plan, as once a business moves their data to the public cloud, data control can decrease and more responsibility will fall on the shoulders of the cloud providers. Therefore, organisations must rethink their governance strategies to rely less on internal security and control, and more on their cloud provider’s offerings. The migration plan should ensure that the cloud provider’s certifications are up-to-date. While the plan will have considered your business data, costs, security and the challenges involved in the cloud migrations, your IT cloud partner must also determine the migration timeframes necessary to move the business data and applications. While some partners can choose to migrate everything to the cloud all at once, this can be a challenging and risky proposition. At ERS IT Solutions, we have found it is often more effective to break the migration down by workload, starting with less critical applications first. Another consideration of your migration plan is deciding what to do with any leftover on premises technology. In many cases, we can recommend that we repurpose this hardware to avoid letting it simply collect dust. Once the plan has been completed, it is then down to an agreed schedule with the business owners and assigning a migration team to the project. The cloud migration team will consist of a systems architect who evaluates server hardware and network design, and a cloud architect who tackles infrastructure as a service, software as a service (SaaS) and platform as a service requirements. The team will then discuss and present a timeline for the migration to take place in agreement with the business stakeholders to ensure that any impact on the day-to-day business is kept to a minimum. A project manager will be on hand to oversee the actual migration team and to liaise with the business owner in the event of any issues during the migration process. 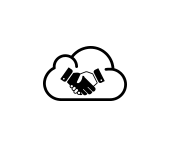 At ERS IT Solutions, each cloud migration that we perform is underpinned by our support and service-level agreements. As part of our managed services agreements, our implementation team will deploy software agents across all devices to monitor critical services and manage every device to keep them secure and protected. 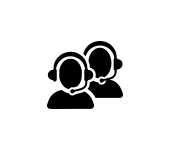 This enables our team to react quickly to identify the root cause of any problem and take corrective action before the customer ever realises that an issue has occurred. Having selected ERS as your cloud services partner and invested heavily in a cloud solution, it’s important to us that our customers have the peace of mind of knowing that the solution they have chosen has been built for purpose, is resilient and will be supported by a team of professionals who have the skillsets to keep it operational 24/7 for 365 days a year. 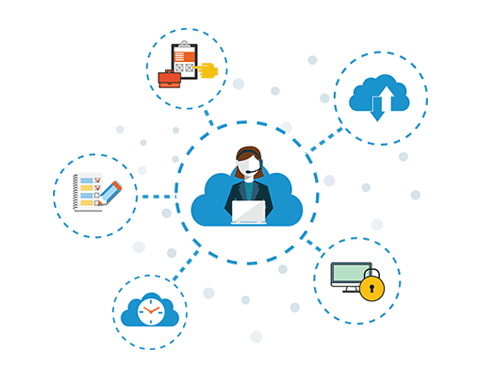 Contact us now to speak to one of our cloud migration specialists about developing the right cloud solution for you. What Cloud Solution is the right fit for my business? ERS can help you navigate the confusing Cloud landscape and arrive at a Cloud Solution that is the right fit for your unique business requirements. 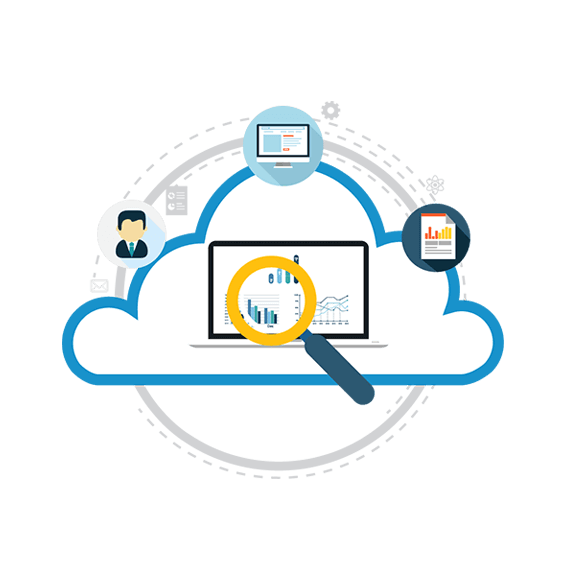 We will help you determine the right Cloud solution for your unique requirements based on the level of security and management required. Public Cloud is the most commonly used and straight forward type of cloud computing. It is essentially a cloud service where services and infrastructure are provided off-site or over the internet. This is the perfect choice for companies who want to share resources but are not dealing in sensitive information. – Easy to add or drop users. Private Cloud services are maintained on a private network and are required by companies who are dealing with sensitive information or if your business operates in an industry which must conform to strict security and control of data. Perfect choice if your company or organisation requires enhanced security. – Customisable and perfect fit. The Hybrid Cloud offers the best of both worlds combining the use of both public and private offerings. Companies using a hybrid Cloud will use the public cloud for non-sensitive issues taking advantage of ease of use and access and employ a private cloud for more sensitive issues giving you flexibility and peace of mind. 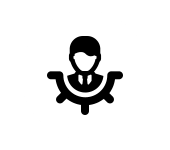 – IT is delivered in the most efficient way possible for every aspect of your business.